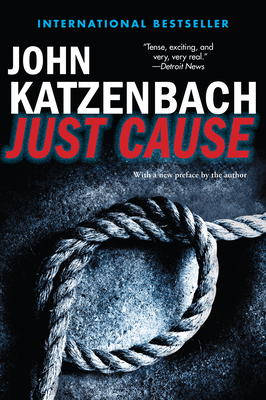 John Katzenbach's fourth novel, now back in print and with a new preface from the author, is brilliantly suspenseful, filled with the remarkable psychological insight for which Katzenbach has become revered. When burnt-out reporter Matt Cowart receives a letter from a death row inmate pleading his innocence, he is tempted to dismiss it out of hand. Sure, they're all innocent. But as the Miami newspaperman digs into the case of Robert Earl Ferguson, an African American given the death penalty for the brutal slaying of a white girl, he begins to believe that Ferguson is the real victim of hate and prejudice. And if he doesn't act, the wrong man is going to be executed. In the months that follow, Cowart's investigative articles not only set Ferguson free, but make Cowart a celebrity and win him a Pulitzer Prize--and set in motion a new chain of unimaginable horror. For there is a monster out there, and he is not through with killing. Chillingly complex, Just Cause is a powerhouse story about confronting our worst fears, in society, and in ourselves. John Katzenbach is the author of psychological thrillers including Red 1-2-3, What Comes Next, The Traveler, Day of Reckoning, and The Shadow Man. Katzenbach was a criminal court reporter for the Miami Herald and Miami News. He now lives in western Massachusetts.